Here's the Voyage MIA Write up! 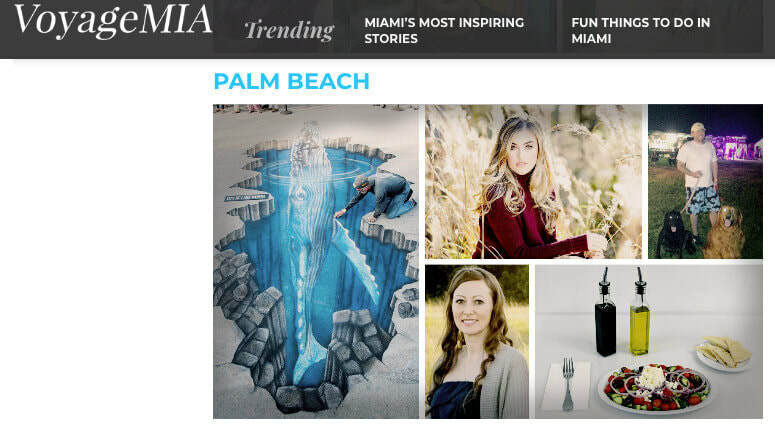 We did a recent advertising specialties focused interview with an up an coming magazine out of Miami called VoyageMIA, if you click the pic above you can read a little bit about the history of Ad Specialty Products. We feel like VoyageMIA did a great job and were very professional and we are grateful for the whole experience. The piece also led us to read up on some of our local neighbors in Boynton and surrounding towns down here in South FL, and the magazine itself is a real eye opener to some of the top level talent right here in the Sunshine State. Thanks VoyageMIA!